I know I’ve said in the past that cheese should be eaten with bread, but sometimes a girl needs crackers. Like when she’s snaffled the last of her Mum’s Christmas cheese ball, the sun is shining and she’s sipping a little gin and tonic in the backyard before a barbie. But what’s she to do if she’s not eating grains? This was my dilemma in the weekend because I wanted not just gluten-free but primal or paleo crackers. Aka grain-free crackers. So my cheese-curious friends I turned to the trusty interweb and embarked on a baking adventure. 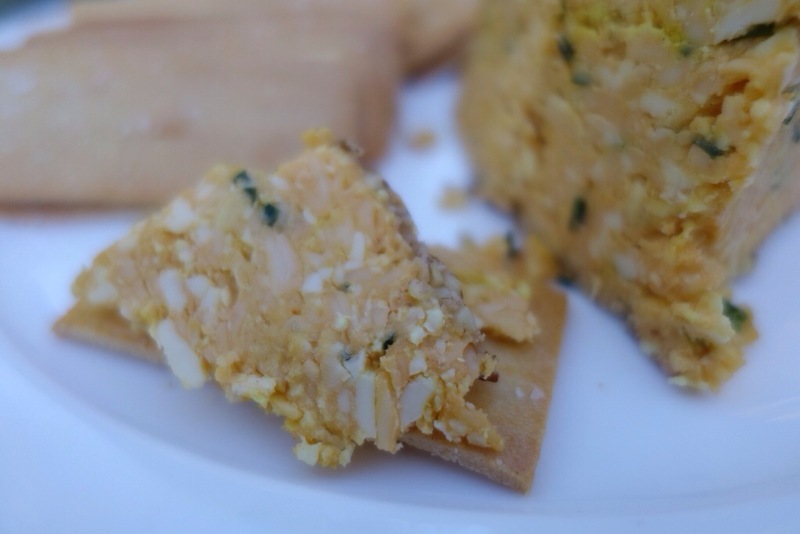 These crackers use ground almonds, they’re easy to make and were a spectacular success. 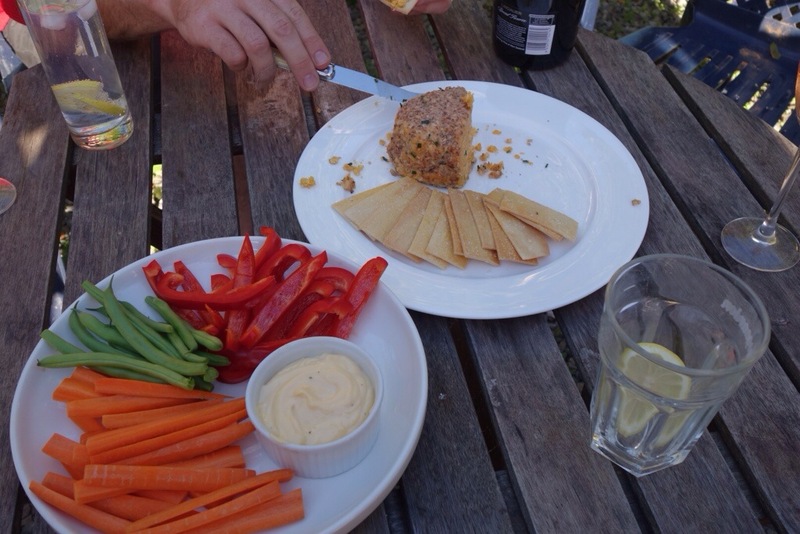 My grain-eating guests scoffed the lot, not once asking for a ‘real’ cracker. I based my recipe on one from Caveman Food blog and added a few extras. Next time I may even add sesame or caraway seeds. The almonds give them a rich creaminess and I reckon they were best with a tangy cheese like said cheese ball or a sharp cheddar. 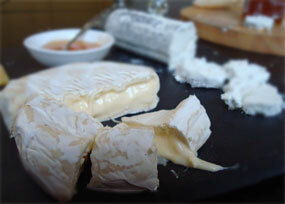 Though the next day Rog and I scoffed a second batch with an Over the Moon Triple Cream Brie – a totally lush treat! Preheat oven to 160 Celecius. Mix almonds, egg white, a good pinch of salt and a couple of grinds of pepper. You want to form a ball of dough, so add a little extra almond meal if it’s a bit wet. Cut two pieces of baking paper the size of the baking tray. Line the tray with one piece, place the dough in the middle and top with the second piece. Using a rolling pin roll the dough out as thin as you can. 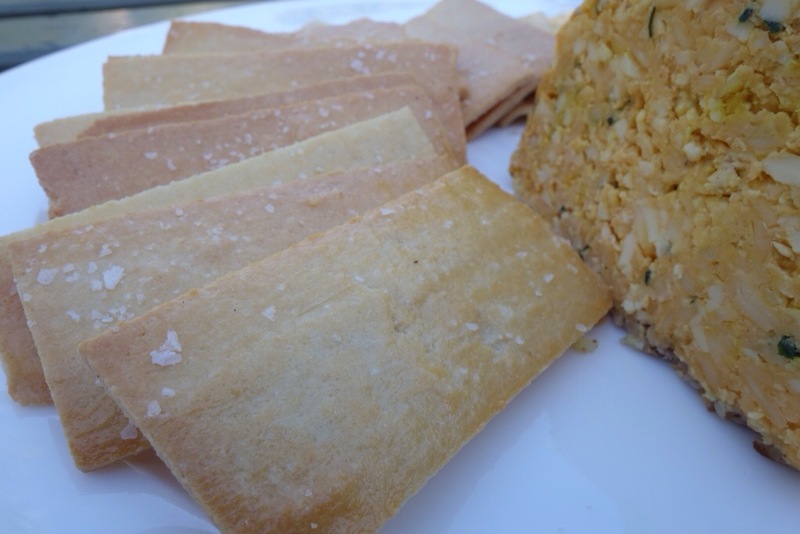 The baking paper is essential otherwise you won’t get the crackers off the baking tray once they’ve cooked. Peel off the top paper, and brush lightly with an egg wash made by whisking the egg yolk and a few drops of water. Using a knife, score the dough into crackers of whatever size you want. Mine were about 1 x 2 inches. Crumble the salt flakes sparsely but evenly over the top. Cook for about 10 minutes and check them. You want them to colour a little. If they get too brown they get a burnt, bitter taste. As they colour remove them to a cooling rack and return the tray to the oven until you get an even colour over all the crackers. They’ll store for a few days in a sealed container. Well done ! I’ll have to try them. They’re surprisingly good! Let me know how they go. 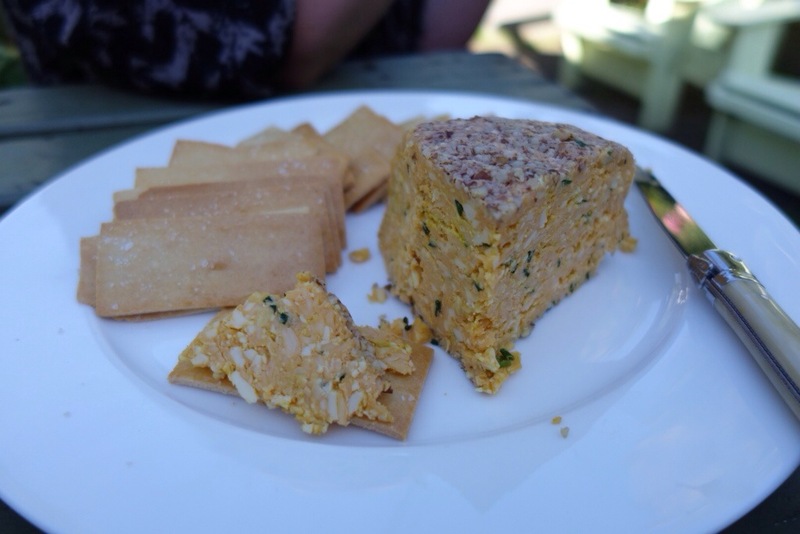 Next Next post: Taleggio: Italian stinky deliciousness – molto bene!